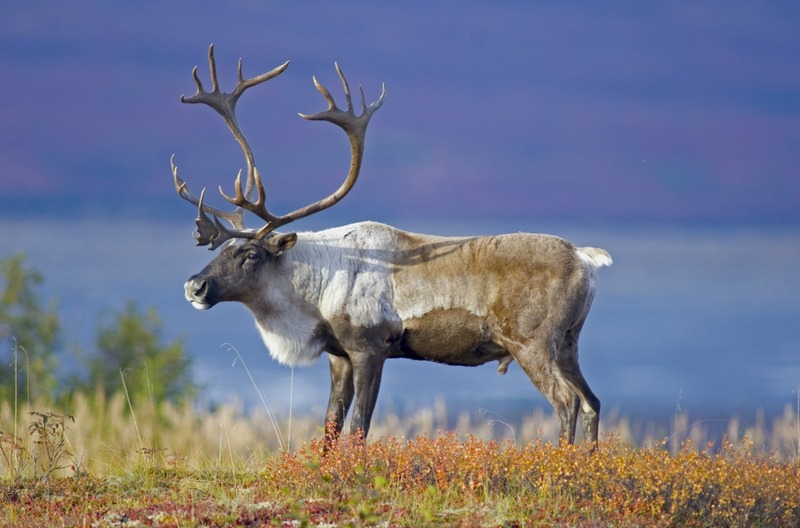 If you want to experience the unforgettable, head to the spellbinding state of Alaska. In this vast place you can savour the serenity of getting away from the crowds while basking in the unique beauty of an infinitely fascinating corner of our world. Combining stunning natural scenery with truly epic, once-in-a-lifetime drives, here’s some inspiration for a visit to Anchorage and beyond. Anchorage is a place for adventures near and far, so begin by picking up your hire car and heading towards Denali, formerly known as Mount McKinley. Driving means you’ll be able to go at your own pace, stopping to take in the spots that will grab your interest along the way, as well as explore more once you get there. The quaint and quirky town of Talkeetna is well worth a visit en route. It’s the perfect spot for outdoor types with activities on offer ranging from rafting adventures to guided hikes and flightseeing tours. Head just outside of town to explore the waterfront of the mighty Susitna River – if it’s a clear day you’ll be treated to views of the Alaskan Range and Denali itself. A stroll around downtown Talkeetna sees quaint shops, local breweries and characterful restaurants revealing themselves. There are plenty of opportunities to step back in time too – from folk nights at the Fairview Inn where travellers on the new Alaska Railroad once rested their heads to the Ole Dahl Cabin, the preserved home of one of the state’s legendary loggers. Once you arrive at Denali the first thing that hits you is the sheer scale of the place. 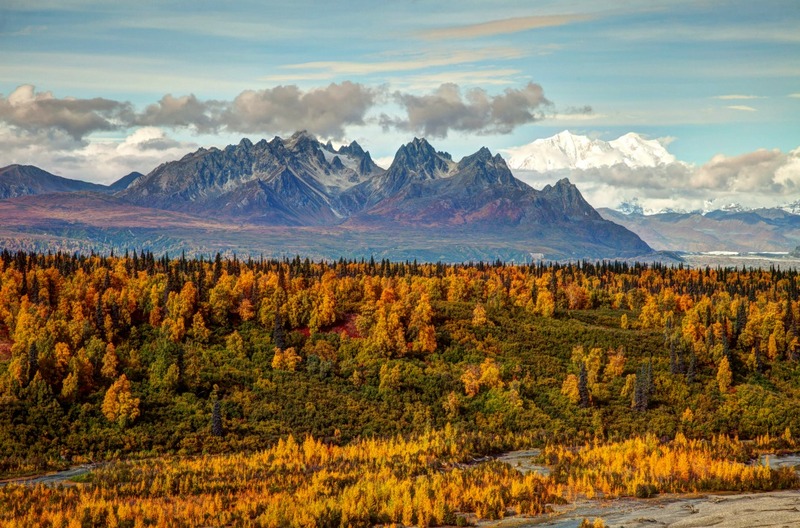 The Denali National Park and Preserve is a staggering six million acres of untamed majesty, with a single road running through it and wild animals big and small roaming its unfenced lands. Watch as the forest gives way to high alpine tundra and snow-topped mountains, culminating in North America's tallest peak. Bear in mind that private vehicles can only drive a short portion of Denali’s sole road in summer. It means you’ll need to hop on a sightseeing bus – you can choose one either with or without a narrated tour. Travelling in the opposite direction will allow you to hit the slopes at the Alyeska Ski Resort. Its tree-lined groomed runs are ideal for beginners, while experts and freestylers can chase euphoria in the rest of its steep and deep powder playground. Alyeska’s mountain biking trails offer just as much adventure in the summer months, when the bright snowy terrain gives way to a lush green landscape. Back in Anchorage, spend some time in Design House Alaska – a general store that looks like a tiny house, tucked away on a little side street. Fresh, bright and uniquely adorable, it stocks beautiful products imported directly from Nordic countries including Denmark, Finland, Sweden and Iceland – meaning you’re bound to find a stylish memento of your trip. Then head five minutes around the corner to rummage around the quirky Second Run Alaska. A short drive south of Anchorage will see you hit Indian, home to Froth & Forage – a perfect spot for brunch. The freshness of its home-cooked delights hit you even before you reach the doorway. Inside there’s a range of mouth-watering dishes to choose from, including house smoked fennel bacon, Alaskan baked bread, reindeer sausage and Alaskan blueberry compote. The drive is utterly beautiful too, with the Gulf of Alaska sparkling between the picture-postcard tall trees, waterfalls and snowy peaks of the Chugach National Forest, which is ripe for some amazing day trips including a hike to the awe-inspiring Spencer Glacier. Back in the city, enjoy an evening dinner of local oysters washed down with champagne at the Bubbly Mermaid. This cute find has limited seating so make sure you book to savour fabulous fresh oysters and a wide range of champagne. As always in this spectacular part of the world, a window table offers the best seats in the house. The Anchorage Museum presents a treasure trove of information about Alaska, with amazing artefacts and art galore. You should check out the Alaska Native Culture exhibit in particular – you’ll to find out about the indigenous population in its archaeology laboratory, which contains over 600 fascinating finds, including war helmets and feast bowls. Prefer to skip the structured tours? Take it easy and explore Anchorage under your own steam. You can wander its four original neighbourhoods. Government Hill is as close to early Anchorage as you can get, featuring a few of the first-ever homes built in the city. In the Historic Downtown area you can take a tour that’ll show you the hotel where Herbert Hoover once stayed, along with a 1940s women-only bar. Suburban and friendly South Addition is perfect for a quiet stroll, while Fairview is a vibrant neighbourhood to grab a coffee and explore the parks – perhaps a welcome change of pace from the outdoorsy feel of the other activities available in this part of Alaska. If you’re looking for epic adventure set against a breathtaking backdrop, Anchorage is the perfect choice.